Dubbed "the Park City," Bridgeport, Connecticut, is looking to live up to its name. In 2012, the city completed a parks master plan, outlining park, open space, and green infrastructure goals. We are working with the City of Bridgeport towards the goal of having every resident live within a 10-minute walk of a quality park. Bridgeport Mayor Ganim has signed on to the 10-Minute Walk™ pledge, acknowledging that parks play a key role in "improving quality of life for [Bridgeport] residents" and "making [the] city a place where even more people choose to live, work, and raise their families." 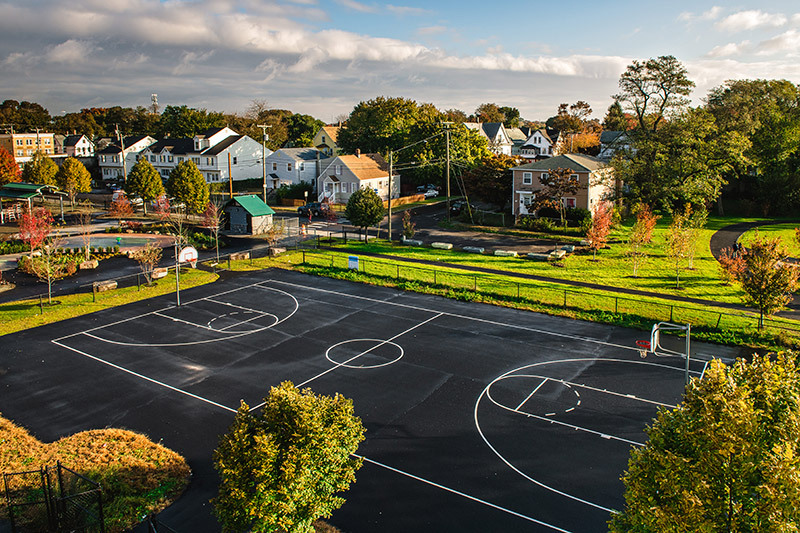 With support from Fairfield County's Community Foundation and the Anne S. Richardson Fund, we completed a feasibility study to develop outdoor play spaces in the Bridgeport neighborhoods that need them most. Our Parks for People program in Bridgeport includes the revitalization of Johnson Oak Park in the East End, and envisioning a continuous waterfront pathway that would increase active recreation opportunities and public access to the city's rivers and shorelines.